Lily is originally from Herndon, VA. She was a member of the program from 2016-18, including the year that the program won its third national championship. 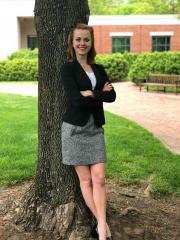 A versatile competitor, Lily was named an All-American Attorney in 2017 and received a national-level witness award in 2018. She also served as the program's Treasurer. View Lily's career individual awards by clicking here.